We’d love your help. Let us know what’s wrong with this preview of The Clash by The Clash. To ask other readers questions about The Clash, please sign up. For me, this is the ultimate coffee table book. It's chock full of cool photos and original archival materials, along with fairly extensive thoughts by all the members of the band. The first thing I did was look to see if my first Clash concert was mentioned. Yep, there it is: Oct 11, 1979, at the Hollywood Palladium. It was one of those proverbial concerts that changed my life. I've been reading the band commentaries over breakfast and then leafing through the pics on my couch, and this ritual h For me, this is the ultimate coffee table book. It's chock full of cool photos and original archival materials, along with fairly extensive thoughts by all the members of the band. The first thing I did was look to see if my first Clash concert was mentioned. Yep, there it is: Oct 11, 1979, at the Hollywood Palladium. It was one of those proverbial concerts that changed my life. I've been reading the band commentaries over breakfast and then leafing through the pics on my couch, and this ritual has been making me very happy. This is an impressive, beautiful, and fairly comprehensive document of a band running on all cylinders. And its editors seemed to know what's important. For instance, that concert I attended in late-'79 is listed on page 230 of this 380-page, chronological tome. So everything after London Calling comes across almost as a post-script, even though these were the band's moments of greatest fame. Hey, "Rock the Cashbah" is a pretty decent tune, but that's not why people were willing to bleed for that band. Me: huge cynic, disbeliever in book reviews, ads, and generally impervious to reccomendation. The New York Times Book Review for THE CLASH: the reviewer was leery at first, but then became convinced that these musicians are also thoughtful, stylish and literate. Thus, I behave out of type and allow the review to persuade me I should one day read THE CLASH by The Clash. Outtasite. If you're a fan of the band you already dig it. If you're not you'll have a better understanding of a punk outfit (with principles) that was too good to last forever. Written from the band's memories and chock full o' ephemeral goodness, the style and tone brings the reader back to a time when three chords and the truth were all that mattered. And it may have been the last time that was a true statement. One surprise (that probably shouldn't be) - the band had a deliberate sense of fa Outtasite. If you're a fan of the band you already dig it. If you're not you'll have a better understanding of a punk outfit (with principles) that was too good to last forever. The most complete historical record yet published of arguably one of the most influential British bands ever. Put together by the members of The Clash themselves, the inside story is fascinating, and the huge amount of previously unseen pictures, posters, set lists and more are fabulous. An absolute must for all serious music fans. One day this will be a collectors item! (if you can stretch to it, buy the hardback version - if you're gonna have a book full of iconic pictures, you might as well ha The most complete historical record yet published of arguably one of the most influential British bands ever. 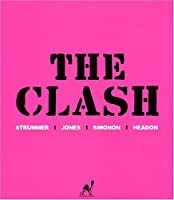 Put together by the members of The Clash themselves, the inside story is fascinating, and the huge amount of previously unseen pictures, posters, set lists and more are fabulous. An absolute must for all serious music fans. One day this will be a collectors item! Incredible collection of memorabilia, anecdotes, remembrances. Man. Total must-have for Clash--or even just punk fans. This book is love. The history of the Clash as told by themselves. Illuminating and worth reading. I bought my first Clash album when I was about sixteen, or seventeen. For some reason seventeen is the average age people discover punk rock, or younger. I'm not one of those music hipsters who will judge you for liking the same band I do, nor am I well versed in the "language" of music - that is, how to talk about music at all - since I didn't grow up in a very musical family nor did I have much experience in discovering new bands to like. But I tend to read music biographies of rock stars I've I bought my first Clash album when I was about sixteen, or seventeen. For some reason seventeen is the average age people discover punk rock, or younger. I'm not one of those music hipsters who will judge you for liking the same band I do, nor am I well versed in the "language" of music - that is, how to talk about music at all - since I didn't grow up in a very musical family nor did I have much experience in discovering new bands to like. But I tend to read music biographies of rock stars I've actually heard of, and have listened to at least some of their music. The Kurt Cobain one I reviewed earlier is apparently a classic, but apart from my own experience I wouldn't know a good music biography to read or a bad one. This one seems to be a good one. They talk as much about the experience of being alive at the time, as they do about the music itself. The Clash in their autobiography give you a sense of the music being part of what made their lives what it was, as much as the touring around living the rock and roll lifestyle was. I like it when a rock biography by the rock stars themselves is unpretentious and easy to understand. The Clash are one of the least pretentious bands ever conceived, something that Nirvana hasn't been able to match not in talent but the whole "representative of a generation" glorifying I saw in Heavier than Heaven that I also read. I'm delving into all things Clash right now as I re-live my youth. Unfortunately the book is put together poorly. The graphics for the album and single sleeves are worn! Couldn't they have spruced it up a bit by using master prints. Also, the story line is not completely chronological and the telling of it by band members often overlaps the same comments. There should be a narrative that brings it all together. If you're into these kinds of books, check out U2 by U2 which came out after and must I'm delving into all things Clash right now as I re-live my youth. Unfortunately the book is put together poorly. The graphics for the album and single sleeves are worn! Couldn't they have spruced it up a bit by using master prints. Also, the story line is not completely chronological and the telling of it by band members often overlaps the same comments. There should be a narrative that brings it all together. If you're into these kinds of books, check out U2 by U2 which came out after and must have learned what not to do from the Clash's version. By the way, each one are on Borders Bargain racks for $5.99 - an absolute steal for a hard bound coffee book. I found this book at a charity shop and thought it had to be worth a read ..turns out I was right. 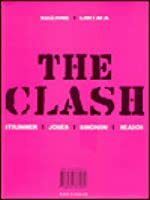 this is the story of the clash told by the band and pieced together through separate interviews an interesting tale of a band who transcended punk forms and the career from debut to combat rock is dealt with...cut the Crap is somewhat glossed over but I think that release is widely ignored even amongst clash fans given that the creative base had changed. all in all I enjoyed this it only gets four ra I found this book at a charity shop and thought it had to be worth a read ..turns out I was right. There is only one The Clash and they were gooooo-o-oood. Sadly this book was not the five star orgastic experience I was hoping it to be as the story had we-are-not-telling-everything feeling in it. Like the break-up was covered in couple of pages and Topper's drug addiction was only like a side note. Also, the band's only performance in Finland was said to be in Turkey. Turkey! That is a damn country! Turku was a the "town" they were performing in Finland. But still, loads of brilliant and cool There is only one The Clash and they were gooooo-o-oood. Sadly this book was not the five star orgastic experience I was hoping it to be as the story had we-are-not-telling-everything feeling in it. Like the break-up was covered in couple of pages and Topper's drug addiction was only like a side note. Also, the band's only performance in Finland was said to be in Turkey. Turkey! That is a damn country! Turku was a the "town" they were performing in Finland. There is also a smaller softcover version of this book. I would avoid that one as it just doesn't do the presentation of the material justice. The first half of the book was excellent. A fascinating insight in to the development and success of this seminal British band. However the latter stages became a history of the singles, albums and concerts without any great insight or detail on each which was disappointingly a page filler. Also there wasn't enough about their break up. Overall an interesting read but I am sure there are better biographies of The Clash. After reading, "The Future is Unwritten" , a biography of Joe Strummer and watching the documentary "West Way to the World" I thought I knew all there was to know about one of my favorite bands. Turns out I was wrong. This book was a great read full of interesting anecdotes straight from the members of the Clash. Plus the photos were just spectacular. If you're a fan of The Only Band that Matters definitely pick this up. All these years after my intense love of the Clash, and I still have things to learn about them. This book is a treasure trove. Loads and loads of photos, from all stages of their career (the early days are particularly wonderful) and commentary in their own words. I learned a lot from this book about how inclusive punk could be, how unabashed at their influences they were, and what synergy these four guys had. By definition, this is a book for diehard Clash fans, of which I am one. Fantastic photos of the band, and an interesting, if not objective, history of the Clash, supposedly written by band members. I had great fun reading this book, looking at the list of concert dates (and finding the ones that I had attended), and reliving the moments when I first heard their albums. A must for Clash fans. I was curious to learn more about The Clash and this provided a decent overview. I'm usually not big on "oral history" books but if you want a quick read with some unique insight on the late 1970s/early 1980s music scene you could do much worse. The book does feature quite a bit of filler - set lists, singles released, etc., that a more rabid fan might find valuable. 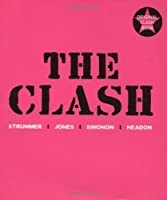 If there’s one book to read or own about “the only band that matters,” then truly this is “the one.” You can read my review in its entirety at allmusicbooksdotcom, but this is a book utterly befitting a band of the Clash’s stature and legacy. It’s as good as it gets, and maybe better. Year zero. Ground zero. It’s the only book on The Clash that matters. What are you waiting for? Yeah maybe they went from super punk guys to some kind of manifestation of selling out but it is The Clash. Oh yeah, and they are just like amazing in their post Clash work so how can there be no love for them??? If you are a fan of the punk band, The Clash, this book is for you!If you don't remember The Clash, here's some songs to remind you of their awesomeness; "London Calling", "Should I Stay or Should I Go", or "Rock the Casbah". This is teh definite encyclopedia of The Clash. READ IT!!!! Just, a short review as the Clash's music and influence in the 80s speak for themselves. 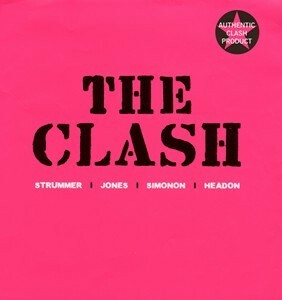 If you are like me, and love their music and feel strongly about their political beliefs, you will enjoy, 'The Clash'. I have read the swedish edition of the book, and I think it's an awesome book about The Clash. I didn't knew so much about The Clash before I read the book, and I think I have got a better impression of the book now. I like it! ***1/2 stars. Coffee table book for fans, filled with smart photos and reproductions of single sleeves and other eye-catching ephemera. Good basic oral history of the band, courtesy of new interviews, parts of which appeared in the documentary "Westway to the World."